The Brisbane Catholic Justice and Peace Commission has compiled a report following a fact-finding mission to West Papua. Highlighting the serious human rights violations perpetrated against Christians by Indonesian military and police, the report includes interviews with West Papuan community leaders on the religious, social and economic discrimination they face. The Commission refers to a gradual genocide aimed at replacing the Christian religion with Islam. Photo courtesy of Radio New Zealand. Allegations of recent Indonesian military and police intimidation, beatings and torture, kidnapping and murder in West Papua, have been documented in a new report. 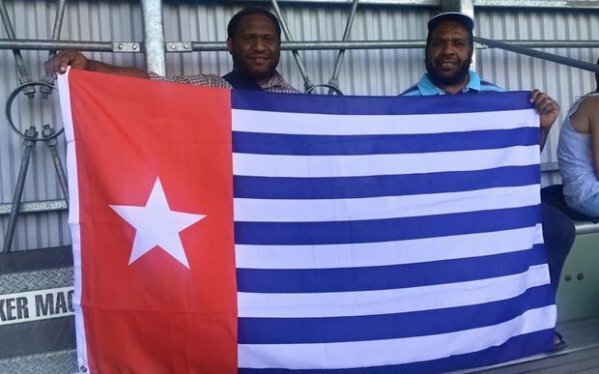 The Catholic report says Muslims are being radicalised in the once predominantly Christian Papuan provinces, and very active militias are burning down Papuan houses. The report was compiled by the Brisbane Catholic Justice and Peace Commission's Shadow Human Rights Fact Finding Mission to West Papua, following a visit last month. It has not yet been publicly released, nor comment sought from Indonesian authorities. The report documents religious, social and economic discrimination, including the carving up of land for major developments, which benefit multinationals and exclude Papuans. It refers to a slow-motion genocide and states that the Indonesians want to replace the Christian religion with Islam. More than 200 community leaders in Jayapura, Merauke, Timika and Sorong were interviewed during the visit.